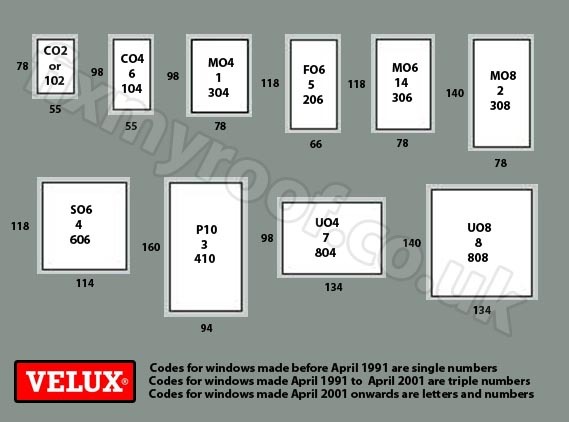 This page contains a list of older Velux window serial numbers and window codes to help you identify spare parts or the modern equivalent replacement, and a couple of repair examples. Velux are always making improvements to their products which is one of the reasons they have been around for so long, I know from a fitters point of view there always seems to be some sort of tweak or improvement made in either the product itself, or the way a window installs. This improvement over the years will obviously leave some older style Velux windows outdated in terms of off the shelf support unless you go back to the manufacturer direct or a specialist spares and repairs company with a Velux serial number or window code. However, new off the shelf Velux flashings can be made to fit older windows in many circumstances regardless of what you may have been told. The window codes are found on the top right hand edge of the roof window when you open it, the data plate will give you two important pieces of information. 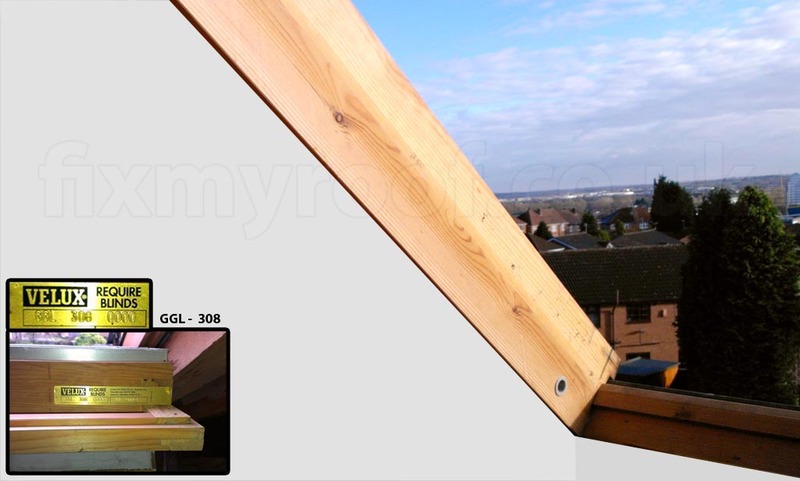 1 – The type of window – If the window model is GGL for instance it would be pine centre pivot. 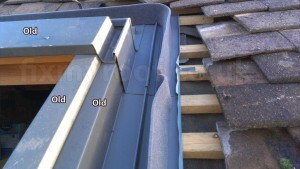 Having fitted many windows, a big part of that can be maintaining an older roof window. Sometimes either with sheer age, or from a badly installed flashing set roof windows can leak, and if you find yourself in this situation you can contact Velux support for spares or a third party roof window company for spares or repair. 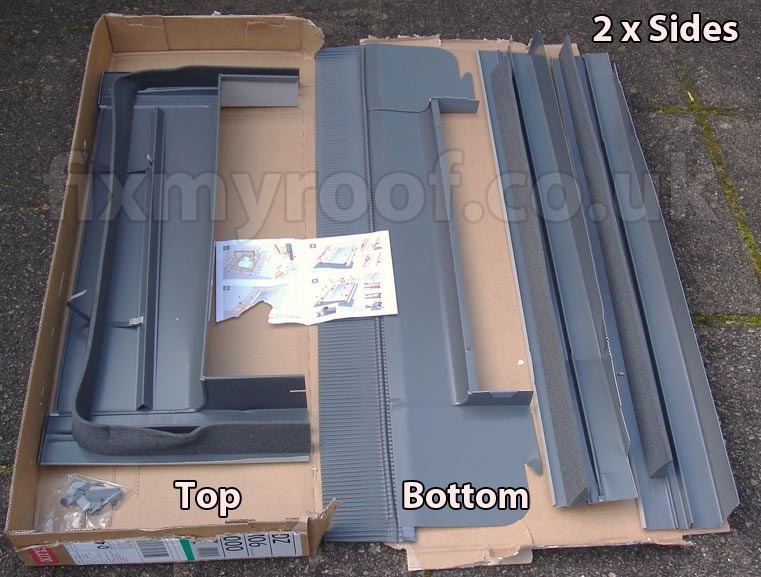 Can I get a new roof window flashing set to fit my old roof window, lots of people have asked me this in the past, and often the answer is yes. Nearly always you will be told that you require a dedicated flashing set from Velux themselves, these are normally 3 times the cost of the equivalent shop bought flashing kit and whilst this is technically accurate you would be surprised how easy it can be to fit new flashings to and old Velux window. Fitting Velux flashings to other makes of roof window can also be done if you are having trouble getting hold of flashings for that particular window, check the external window frame size first though to make sure of a basic fit. Roof windows such as RoofLITE, Keylite and Duratech are good examples of this amongst others, obviously on some makes of roof window they can require a little bit more modification. Instead of using old Velux flashing kits, here I’m installing a new Velux EDZ or EDW to an old GGL 308 which at the time would have had the EDW 308 1000Z flashing when new. 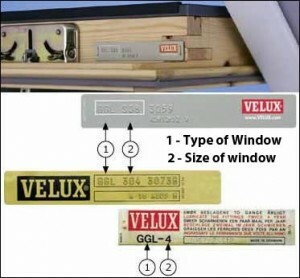 The cost of the original flashing kit from Velux (£152.87) + postage makes the repair too expensive to make economic sense, especially by the time labour and materials are added. For those interested you could also fit the newer EDP plain tile flashing set, but it’s a little bit more involved and I would not recommend this unless you are quite confident with roof windows, or have previous experience with the EDP flashing set so you know where you can afford to cut and fold any excess metal on the trims and soakers. Luckily in this example there is no plasterboard to foul the views, however I’m going to Photoshop some in so you know what to expect if you are replacing an old flashing set on a plastered window. This would be your view of the window frame if the Velux was plastered. Picture in picture, the window code plate taken from the top of the window itself. Obviously this may alter your plasterwork if you have to raise or lower the roof window, in most cases you will be probably lowering the window frame so the plaster can be cut back neatly and there should be no need to re plaster. Another option is to use a plastic or wooden trim around the edges underneath the frame to mask any gaps. If you were to remove the plasterboard, this is what you would see inside. The arrow pictured below is pointing to your biggest problem in fitting the new Velux flashing set to your old window, window frame height. 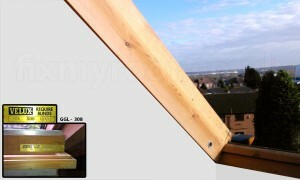 What we need to do is raise or lower the height of the frame itself to match your new flashing kit. 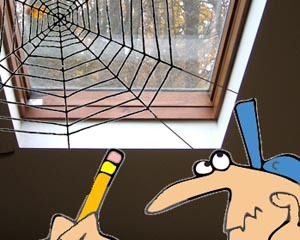 If you have a leaking Velux roof window or leaking other brand of roof window please read the Fitting a Velux page for correcting other common installation mistakes which might include roof pitch, membranes or badly fitted flashings. 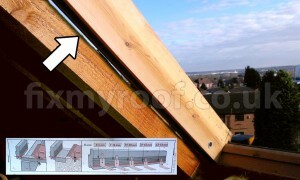 With the plasterboard removed, the gap above the arrow shows the height of the frame in comparison to the roof joists. This will probably need to be raised or lowered for your new flashings to fit. If we now place the full new flashing set loose on top of the roof next to the window frame, once seated we can easily see any height difference and simply measure it (Pic B). With this number we then either raise or lower the window frame by that amount so that the new flashings fit nicely. 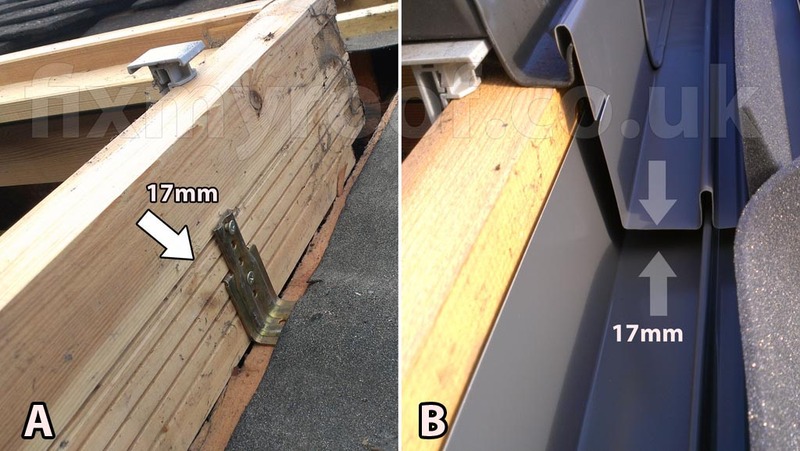 In this case the window frame needs to be lowered 17mm or 3/4 of and inch (Pic A) you may of course be lucky and no adjustment is needed but this is rare. Pic B – Full flashing set is placed onto the ready stripped window frame, in place but unfixed to allow checking. Pictured are the new flashings used for this old Velux window using the same style of flashing that the original window would have had, but new and off the shelf. EDW are virtually the same but with a larger foam profile should you need it. Your new flashings will now seat nicely, a couple of small cuts to the bottoms of the side flashings may be required but this will not compromise the integrity of the waterproofing at all. It should now be just a matter of re tiling the window to make good. Your new flashing set will be a bottom, two sides and a top flashing as seen above. All other parts are classified as window trims and will remain original. Sometimes when the varnish on the roof window starts to look scratched or a bit tired, it can be a good idea to re varnish it. The best way to re-varnish the timber surround is a technique that was taught to me by an old decorator with the most awesome varnished garage doors I have ever seen. Instead of sanding the varnish, use fine wire wool and gently rub the top surface of the old varnish with it, this is gives far less deep abrasion and will leave a fantastic gloss finish when finished with either a satin or gloss varnish.